This is the Sanwa RX-472 2.4GHz 4-Channel FH4T Super Response Receiver, with Sanwa Synchronized Link (SSL) Support. The RX-472 features an extremely low latency time and high frame rate, which makes you feel more connected to your model than ever. Combined with Sanwa or Sanwa Super Response SRG digital servos, the RX-472 will give you reaction speeds like never experienced before! What is Sanwa Synchronized Link? 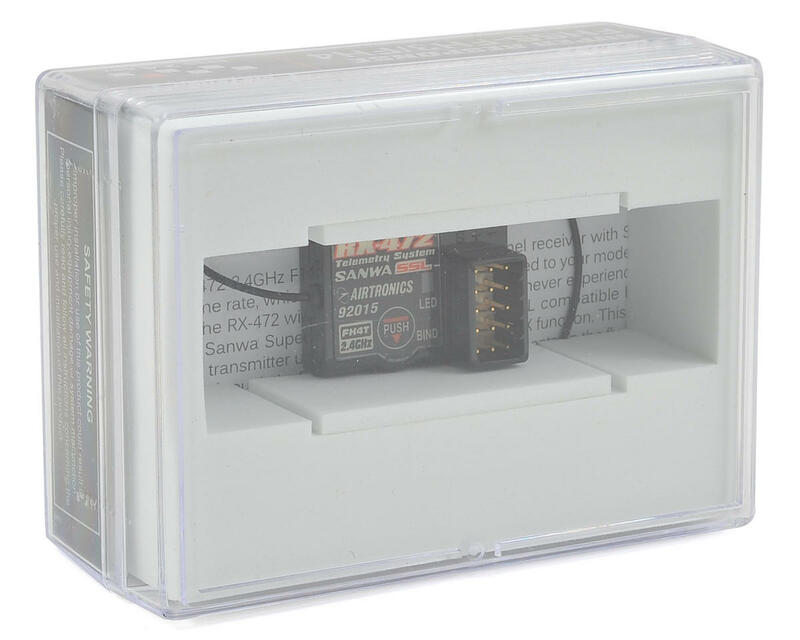 When you combine the Sanwa M12, MT4S, or Sanwa EXZES-Z transmitter, with an RX-472 2.4GHz FH4T Super Response 4-channel receiver and the Sanwa Super Vortex ZERO ESC, the Sanwa Synchronized Link (SSL) system allows you to change many ESC programming values directly from the transmitter using the transmitter's CODE AUX function. This saves you the time and hassle of not needing to stop and change programming values manually through the ESC. You can make these changes remotely and in higher resolution increments for improved performance. 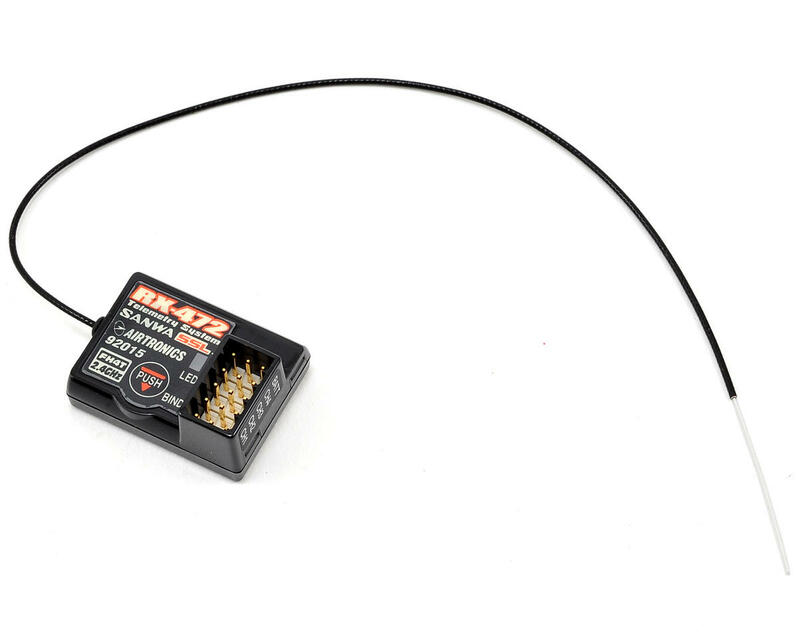 In addition, telemetry data such as speed or RPM, ESC temperature, motor temperature (if supported), and battery voltage can be read directly from the Super Vortex ZERO ESC and displayed on the transmitter. *NOTE: To take advantage of all features, this receiver must be used with an Sanwa M12, MT4S or Sanwa Exzes-Z transmitter and a Sanwa Super Vortex ZERO ESC. This receiver can be used with limited features (no SSL and no telemetry) with any Sanwa or Sanwa FH3 transmitter. This receiver is not compatible with Sanwa or Sanwa aircraft transmitters or FH2 surface transmitters.